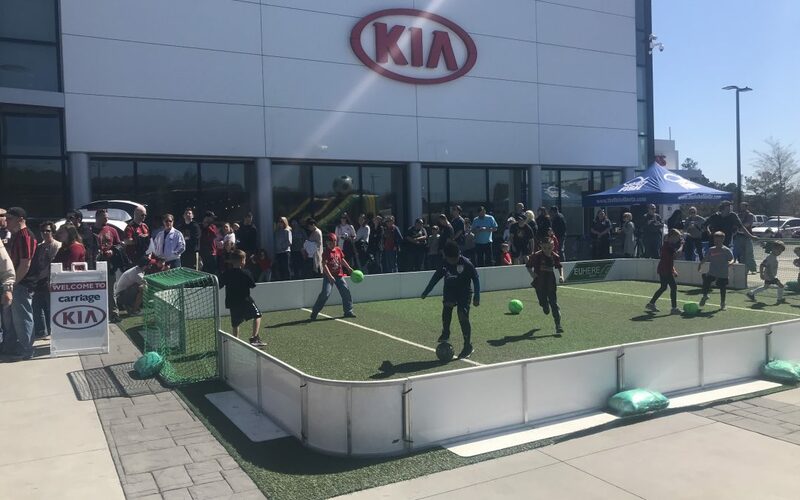 Carriage Kia of Woodstock was host to the first ever Carriage Cup this weekend, with a high-intensity soccer tournament right on-site of the dealership! ATL Soccer players Jeff Larentowicz and Michael Parkhurst also joined in on the fun, signing autographs and taking picture’s with United’s most loyal fans. We had a blast and cannot wait for the second Carriage Cup next year!